We at Aspirinox Alloys Inc are a well-known Manufacturer, Supplier & Exporter of high-quality Hastelloy C22 Flanges in Mumbai, India. These Hastelloy Flanges are manufactured and designed by national and international standards. These Pipe Flanges are widely used in various application industries such as petroleum, chemical, construction, engineering, gas and shipbuilding industries and many more. 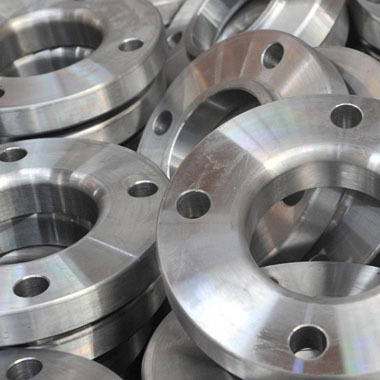 We specialize in offering a comprehensive range of all types Alloy C22 Flanges grades including Slip on flanges, socket weld, blind, lapped joint flanges, screwed flanges, weld neck flanges, reducing flanges, spectacle blind flanges, slip on flanges, plate flanges, flat flanges, screwed flanges etc. We have complete UNS N06022 Flanges that provides resistance to stress-corrosion cracking, crevice corrosion, and pitting. These flanges are accessible to our valuable customers in a different range of diameters, wall thicknesses, and sizes at quite affordable rates. Contact us today to request a free quote! Specifications for Hastelloy C22 Flanges. If any specification is not mentioned here, please use the contact button for quick quote. Request the latest Hastelloy C22 Flanges List. Please click on the request a quote button or click here to request the updated price list and ready stock information along with your requirement. Aspirinox Alloys INC maintains a stock of all standard items and can export them at best price for Hastelloy C22 Flanges.